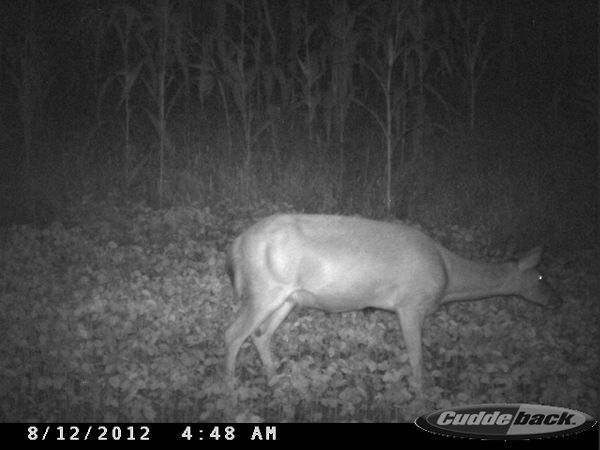 That hurts, Wont make the rut this year. Is she pregnant or just fat from eating the beans? Seen this on facebook at HUNTDROP. be careful. I think this is a 5 or 6 year old doe. What do yall think? 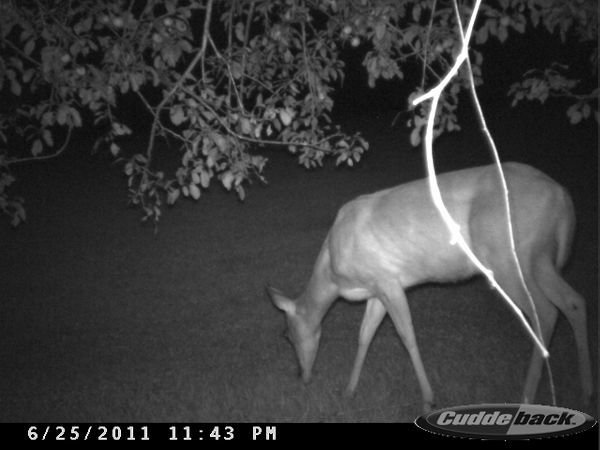 under the apple tree ever night 70 yards from the house. Turkey hunting saturday. 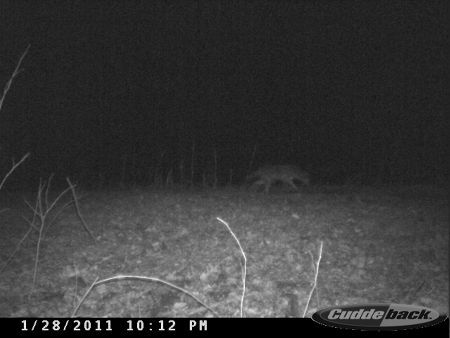 The tom did'nt come in but the coyote did. may need a different call. 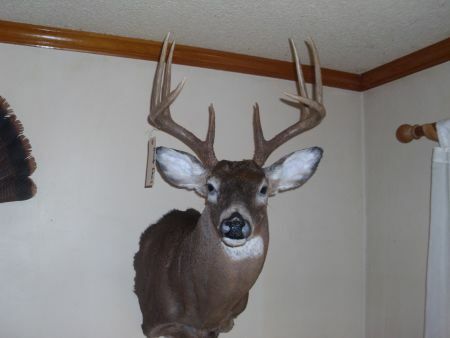 Congrat's to all, these are some very nice bucks hitting the ground. 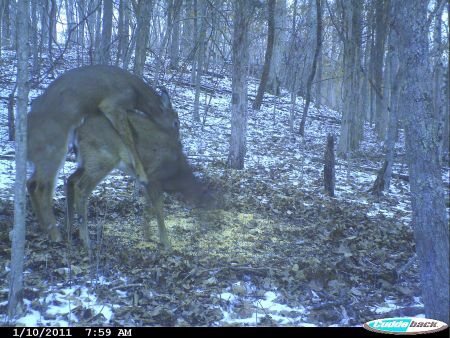 Must be the RUT . 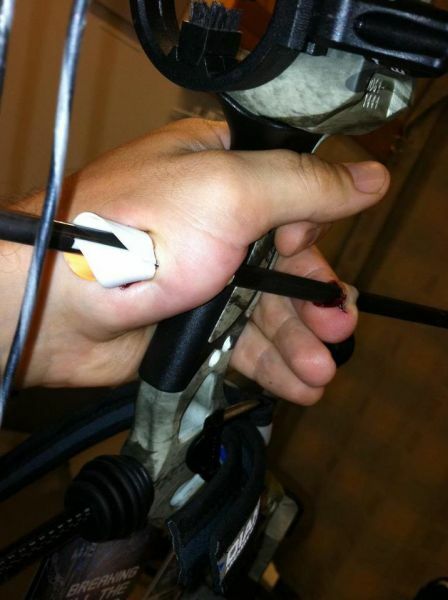 Just wont to know if you all cull spike and cow horn deer? I think i will let one of my daughters cull the cow horn. I think both are 1.5 years old. Has anyone ever used a ghillie suit for turkey hunting? 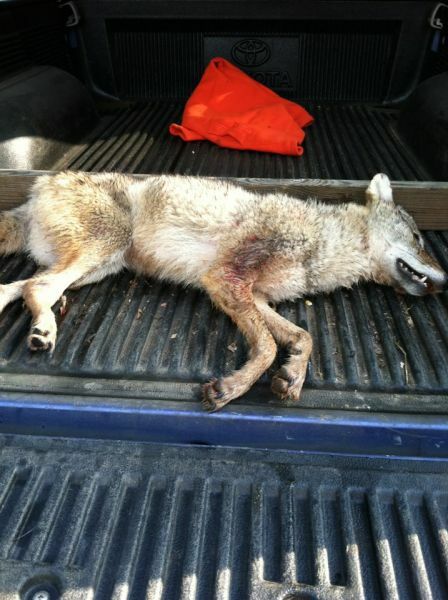 Never hunted coyote before. Need help. 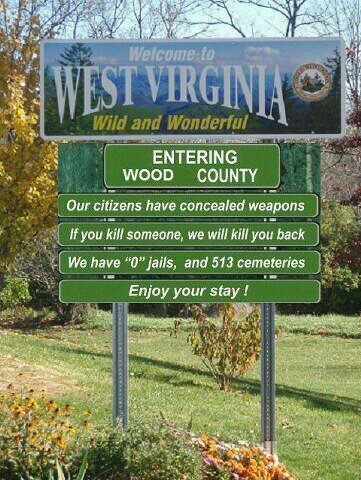 Stokes co. Picked up my daughters deer today for her. Is this a dog or coyote? 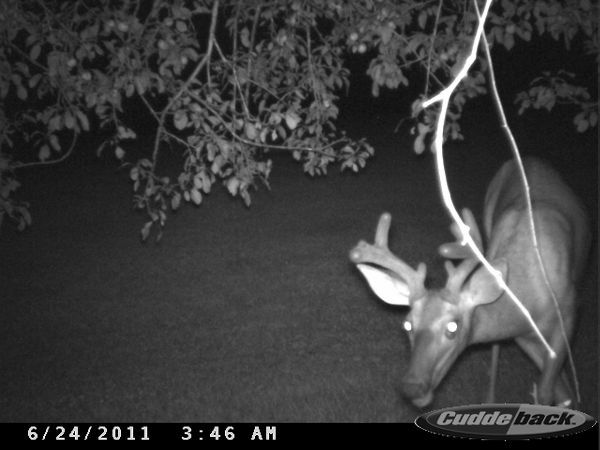 Found this pic on cuddeback.com photo gallery. taken in INDIANA. notice the date on photo. I think she is pregnant, and it is showing, what do you think? i wont take her. My Biggest deer this year. The new hunting digest is on line at ncwildlife.org. Go to flip book, for all new hunting and fishing rules.I like what i see. getting the horton CROSSBOW ready for 9/11 and Sunday 9/12. Can anyone tell me anything about the new cva optima? Its time for a new ML. I like my old cva but its time for the new brakedown.How is the new breach plug that you can take out without any tools. 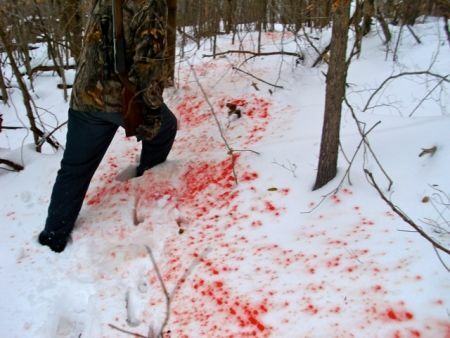 First time hunting in the snow, Easy Blood Trailin'!! Thanks to the 'letter-writers' of North Carolina, I'm hangin up the gun for this season. A comment titled: GREAT JOB in response to a report titled: SPURSUADER is 3 for 3 in 4 Days!!!! Youth Week!! Man that's great, all nice birds, going to call for a friend saturday morning and try out the spursuader it sounds good at the house. A comment titled: Turkey in response to a report titled: My Son's First Bird on the ground! 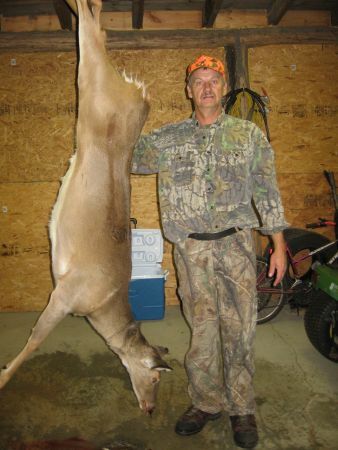 A comment titled: ammo in response to a report titled: Little Buck gets busted up on Road...WARNING!! Hard to watch. GT when you went to basspro did they have much ammo? I cant find 22 long rifle anywhere. I went to basspro in concord 3 weeks ago, the ammo shelf was empty. glad the animal control dispatched the deer. Most county sheriff department wont do it because of all the paper work when they fire there gun. 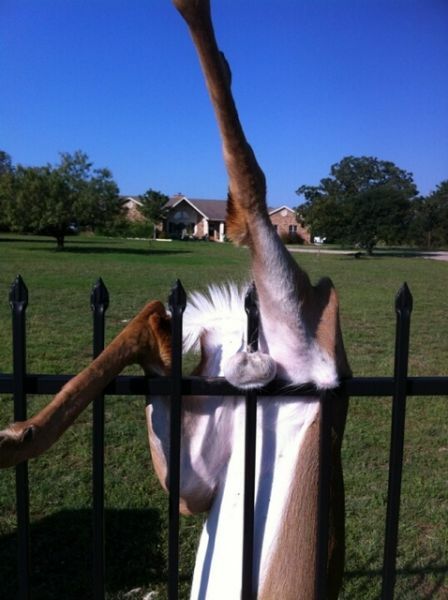 A comment titled: SAD in response to a report titled: Little Buck gets busted up on Road...WARNING!! Hard to watch. I would put it out of it misery, if I had a gun with me. Same thing happen to me years ago, a doe in the side ditch with 4 broken legs. I seen her hold her hold up. I stopped and put her out of her misery. A guy stopped and told me that she had been there all weekend, he thought she was dead. Nice view what is the green crop? I Think the turkey would graze on it. A comment titled: OLD in response to a report titled: HAPPY BIRTHDAY GOBBLINTOM!!!!! A comment titled: EXPO in response to a report titled: Got some Turkey Spur Necklaces Finished today. No i have to much to do. broke the ring and pinion in my old tractor. 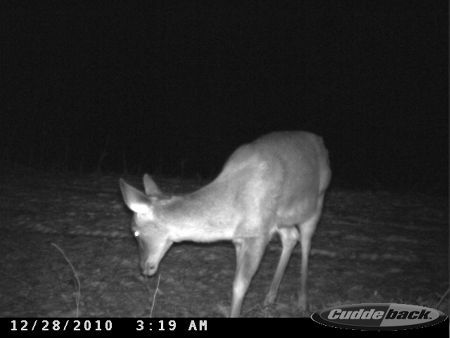 used for food plot. A comment titled: Nice in response to a report titled: Got some Turkey Spur Necklaces Finished today. They look good i may try that. 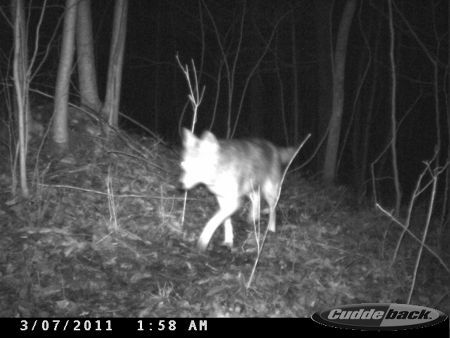 GT check out southen trophy hunters on facebook, nice W.VA buck trail cam pic. 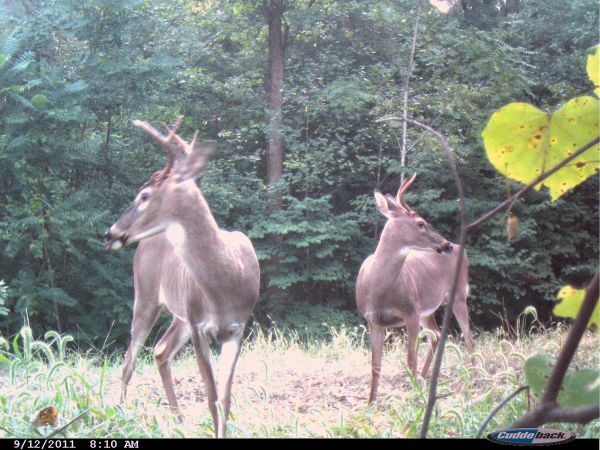 Great looking deer and nice looking food plot. Yes i think she is at least 5 years old. I planted 2 pear trees in a food plot this spring. May be good in 5 or6 years. A comment titled: MAN in response to a report titled: Paint brush! A comment titled: Fawns in response to a report titled: More Trophy Rock Videos but...Wheres the fawns?? Look like a lot of babies coming in the next 2 weeks. Keep us posted when you see the little ones.